Plus learn to play Mumford & Sons, Arctic Monkeys, The Clash and more! The new issue of Total Guitar is on sale nationwide (and, digitally, around the world) from today! 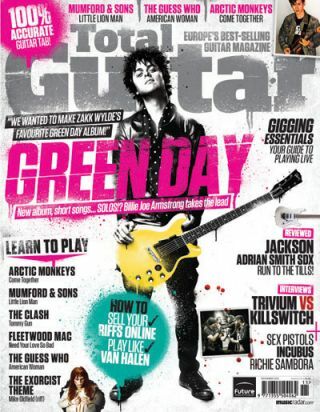 Inside Total Guitar 233: Green Day's Billie Joe Armstrong tells us about the guitars on new album ¡Uno!, including his latest signature Gibson, building his own amps and why Zakk Wylde should love his new record. Get a load of Tony's tone with his new signature amp! Gear-obsessed Zach Myers answers your questions! Plus reviews of the latest gear from Vox, Orange, PRS, Roland and loads more!